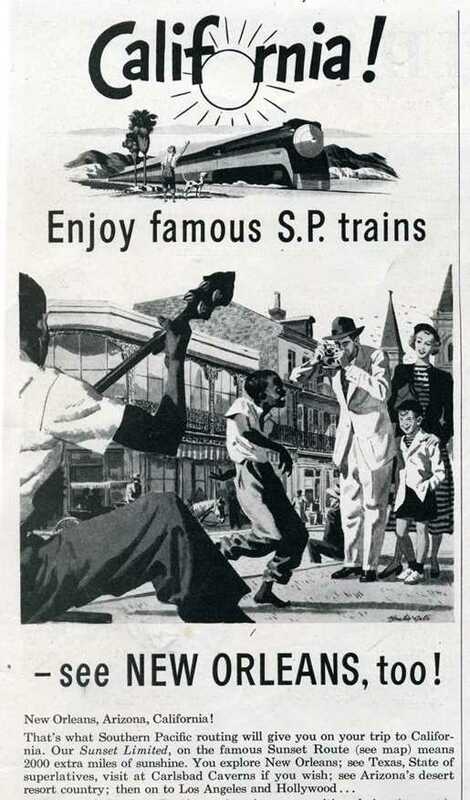 All of today’s images were scanned from a January 1949 Holiday magazine that I own. In general, I think people are too quick to be offended and play the victim card and nurse their perceived wounds. However, this ad makes me uncomfortable. Even if the intent is to portray innocent street performance, the bare feet vs. the white jackets has implications. 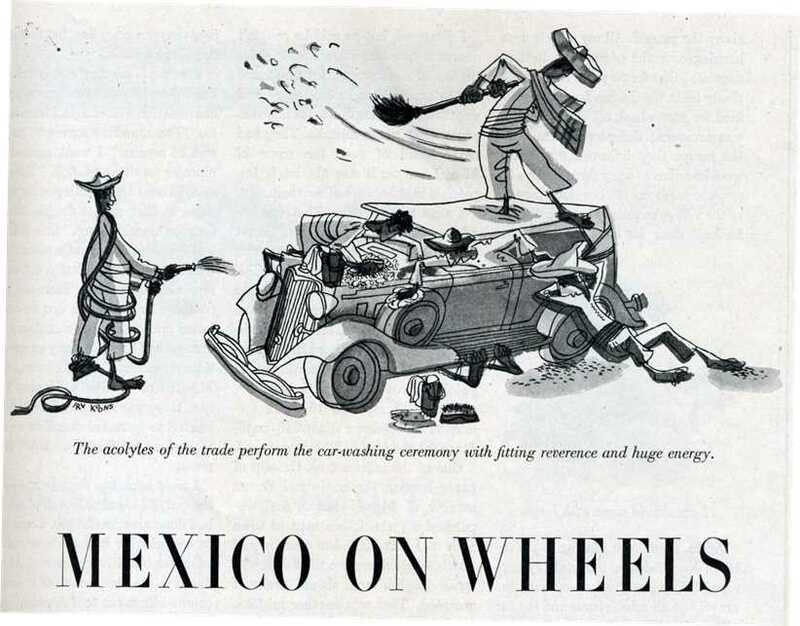 In the next cartoon, we see Mexicans giving a car wash. As a person who, in the course of driving through town, sees Mexicans giving car washes almost daily, this does not offend me. But I imagine the man taking a siesta might offend some, as it could be perceived as perpetuating a stereotype. 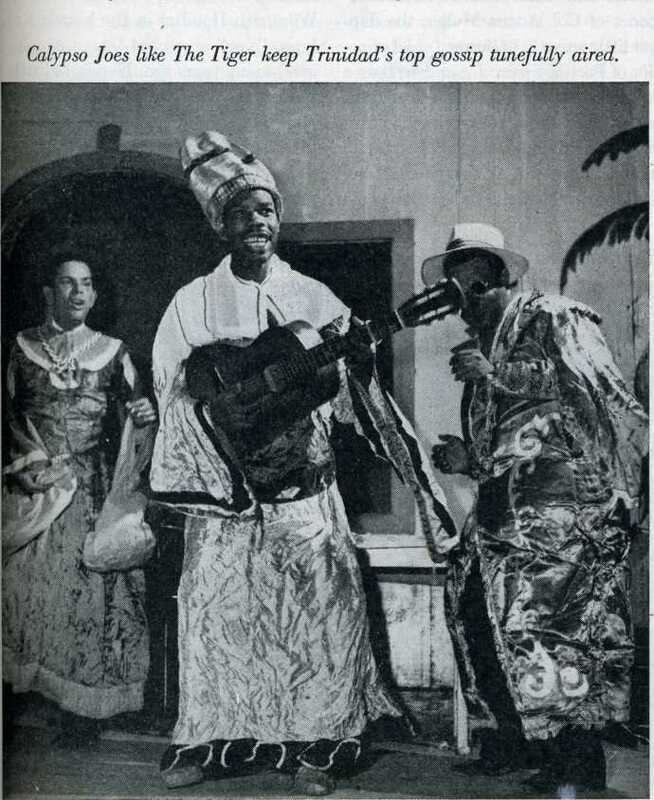 This next image shows a musician in traditional garb, with a caption revealing that his music airs the local gossip. Is this offensive? I am more concerned with how men look in dresses. 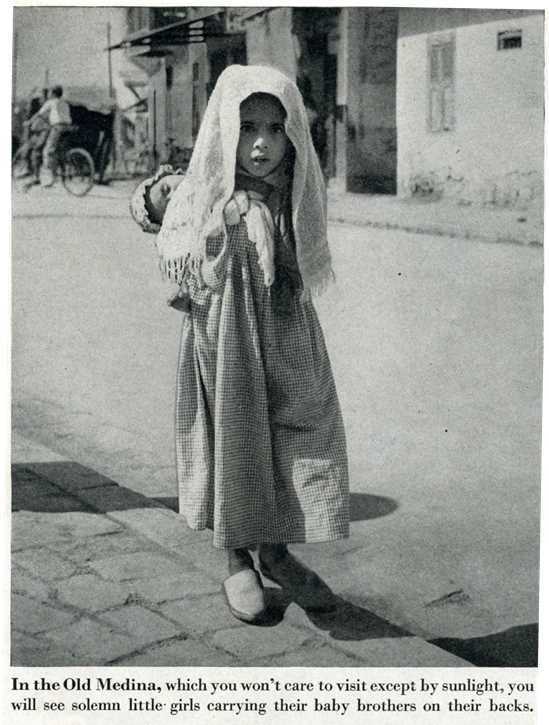 In an article about Casablanca, an image not unlike a street urchin shows a veiled girl carrying her brother. In today’s PC market, I doubt a travel magazine could write “which you won’t care to visit except by sunlight,” but I would actually appreciate that honesty. Isn’t that what Expedia and Trip Advisor sites are for? 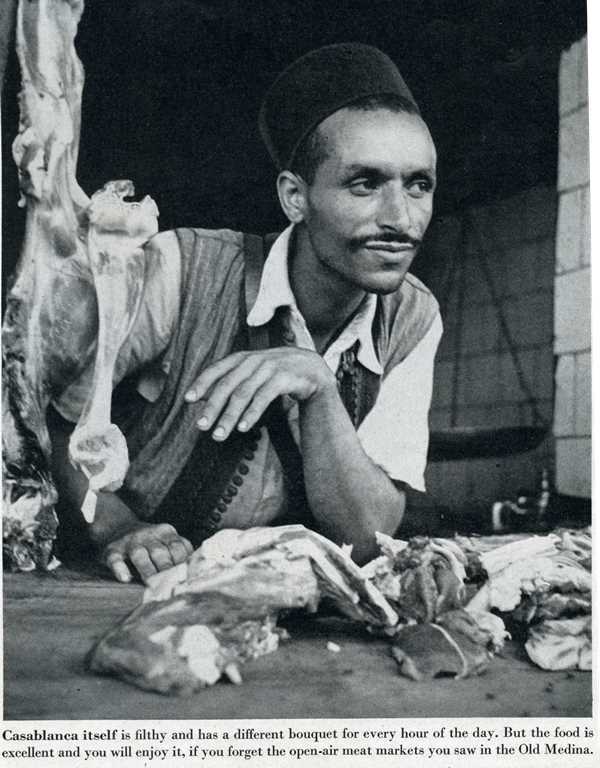 They continue with an assessment of the open-air markets. Not being well-traveled myself, I cannot argue that there is not a maleficent odor. I imagine there is. I’ve seen Andrew Zimmern gut a pig on Bizarre Foods. Not every place is hygienic. Not every land is hospitable. My standard of cleanliness is quite different from some of my friends, who could do well to purchase some Clorox wipes, just like this man. I washed my hands ten times last night, handling raw chicken. So I imagine the stench of festering carcass is quite rank. I would rather know the truth before I hopped a plane across the ocean. What do you think? Are all of these offensive? Or none at all? I don’t think these are at all offensive. I see it as being true to reality. At that time all boys ran bare foot in the summer, regardless of color. Especially in rural areas. Also most men were conditioned to suit up when they went out in public. And I think it was a fashion law that you had to take at least one white suit when you visited the tropics. As for the siesta, heck that is common where it’s hot. The afternoon is rest time. Frankly I rather liked the honesty of warning tourists what to expect in places they might travel. I can’t think of anything more damaging to a travel agency than having some clients mugged. I would consider it good customer relations. You have some fascinating photos there. oh, the first one is awful. Looks like they’re photographing trained monkeys dancing. Old Medina doesn’t sound too fantastico if you can’t visit at night and you have to avoid the open-air meat market in the day. I don’t understand the copy on the car wash ad: “fitting reverence and huge energy.” ?? I read it several times and still don’t get it. I’m struggling with this right now in view of concern about spanking. This was common part of life in earlier decades. Even though I don’t agree with it, will I appear in agreement if I post about it in context of my life in 1950’s? I think if you post about reality, and all you are writing is the truth, people will not be offended. It would be so hard to please everyone. I have spanked my son many times over the past ten years, using different forms of discipline to deter/punish certain behavior. Plenty still spank, but some find it barbaric. I guess we are constantly having to change our perceptions as society changes. Offensive or not..the pictures are fascinating. THAT’S where The Tiger is! That guy owes me $5 bucks. They’ve ALWAYS said you wouldn’t care to visit Central Park except by sunlight. Even today! I’m not the least offended. Where do you get these wonderful images from? Internet searches? These were all inside one 1949 Holiday magazine that I got earlier this month. Most of my pics come from magazines or yearbooks that I have, not online. Glad you aren’t offended! People who get “offended” should stay off the internet. For their own good. You got to admit that Calypso Joe and his Team had a unique sense of personal fashion. They probably shouldn’t visit Old Medina dressed like that. I’m pleased that you shared that personal info. A different bouquet is not necessarily bad. My chiropractor today said I smelled great, much better than the UPS driver who just got off his 8 hr shift. They were probably not offensive then. Now, yes. It’s all context. People have changed and interpret the words and actions differently. But, yes, Kerbey, I took would like a heads-up on danger and bad odors. Yes, this is true. There are times when I have spoken to people in their 90s who think they are just speaking matter-of-factly, using words they used their whole lives,not trying to be offensive, and my eyebrows shoot up. I had an interesting conversation about this last week — our culture has changed in so many ways, but our symbols and understanding of those emblems have not. Would a person who lived in the country in question be offended by an image might be more appropriate of a concern, I guess.